It's never dull on the Market, but this month was certainly the first time I saw a male model on Buyer's Walk, posing in shorts for a fashion shoot. For British produce, highlights are the first Jersey Royal potatoes, watercress and lovely wild garlic. From Sicily, blood oranges are still in good shape. More on these later …. Otherwise, it's still a wait until our British season kicks off in earnest. In general, the supply of greenhouse-grown crops such as peppers, aubergines, cucumbers and tomatoes is moving gradually from southern Europe to Holland. 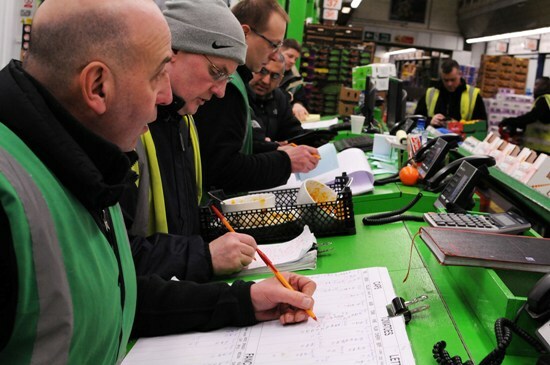 "Cauliflowers and broccoli are plentiful, rhubarb is Dutch and English purple sprouting is very nice – expensive, but nice," says Andy Bryant at wholesaler P & I, to set the scene. As he says, the Yorkshire season for forced rhubarb is over, but a few UK-grown supplies are also trickling in from the Wye Valley. Pungent wild garlic is on hand and volumes will increase once the weather warms up. Wet or new season garlic is also over from Egypt. For wild mushrooms, this is "notoriously a quiet time," explains Michael Hyams of The Mushroom Man. 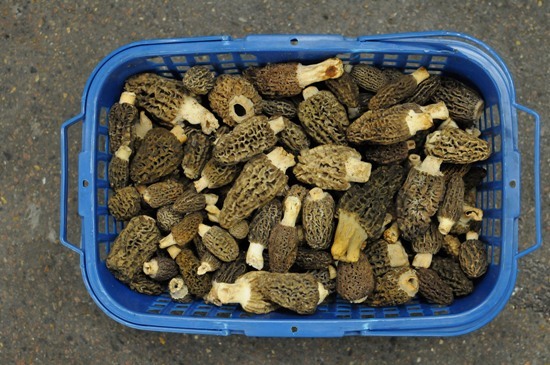 "[We have] fresh morels from Turkey. A bit of American: chanterelle and trompette. Ceps from South Africa – that's finishing now. You're waiting for morels and mousserons in spring." 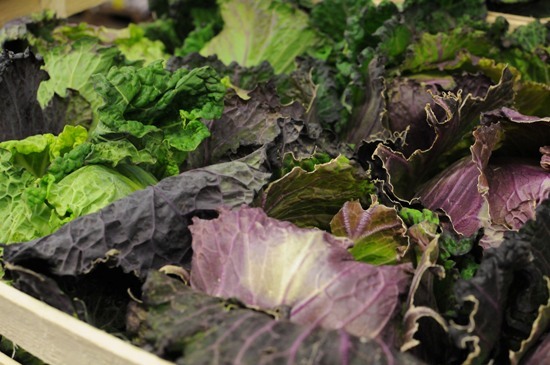 British kale has all but finished. Cabbages of all colours (green, white and red) are available, including January Kig (below), as are imports from Spain and Portugal, including excellent Hispi. Roots such as swede, beetroot, turnips, parsnips and carrots are often home-grown, rivalled by imports from France or similar. Look out for excellent Chantenay carrots grown by a cooperative in Nottinghamshire. 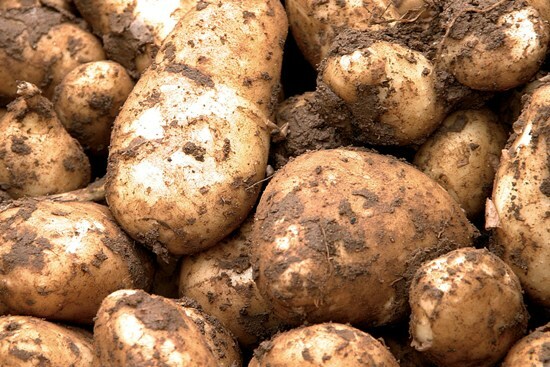 As for the Jersey Royals, these early batches are grown under cover and prices will drop once outdoor-grown supplies are on hand. 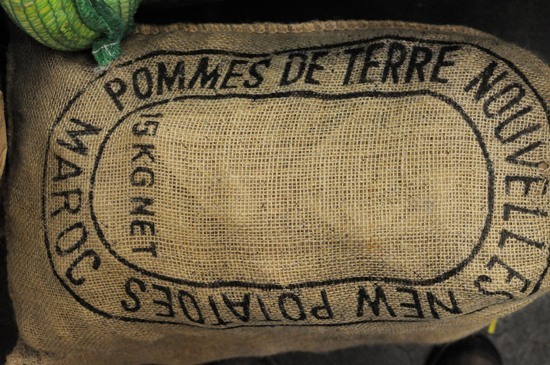 At Premier Fruits, they also stock, among others, new potatoes from Morocco – lovely packaging! Let's hope this year bodes better for UK potato growers, who are planting around now. Currently, around three quarters of the spuds eaten in the UK have been imported. At R Tealing, I spotted the first English strawberries, grown in Herefordshire by Haygrove. At this time of year, they use extra heat. Most strawberries on the Market, however, are Spanish and more expensive than normal due to their poor weather. 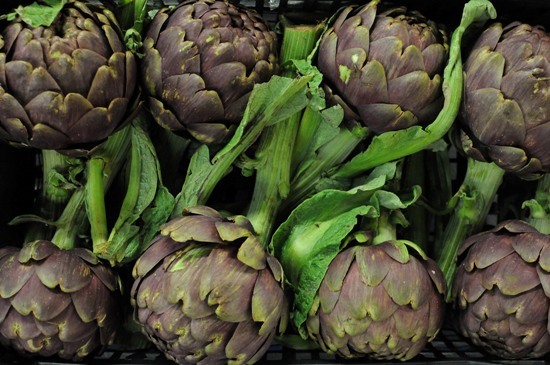 For a taste from Italy, Covent Garden Supply are among traders with a fine selection, including white asparagus, courgette flowers and round and straight courgette fruit, fennel and globe artichokes. 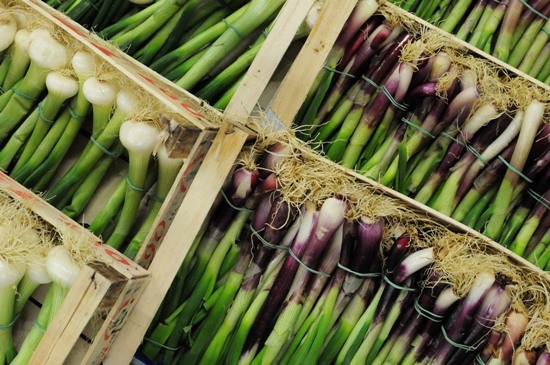 Also of note were their Italian spring onions, including this dazzling purple / red variety. 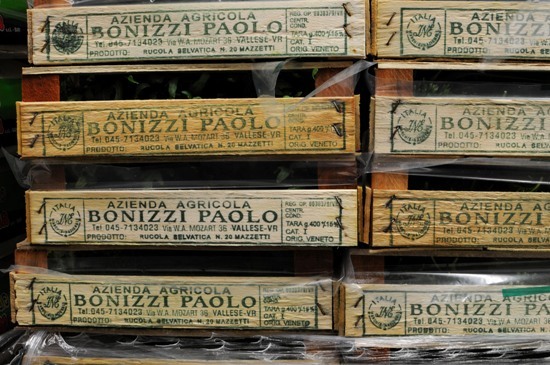 For salads, wild rocket, speckled lettuces and raddichio, including delicate pale green leaves from a prized dwarf variety from Friuli, prized for its balance of sweetness and bitterness. 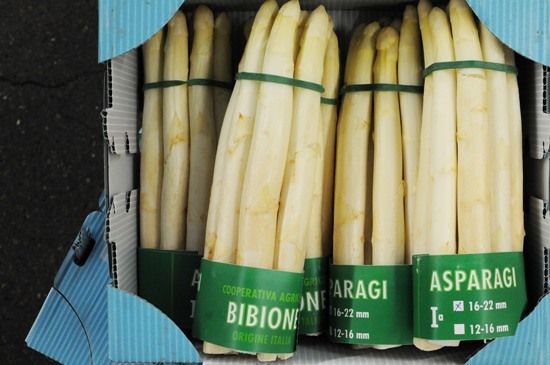 On the asparagus front, note that our UK crop will be with us as soon as the weather warms up. This year will also see the first British white asparagus on the open market, grown by the ever-innovative Chinn family in the Wye Valley. Previous crops were reserved for the high-end supermarkets. 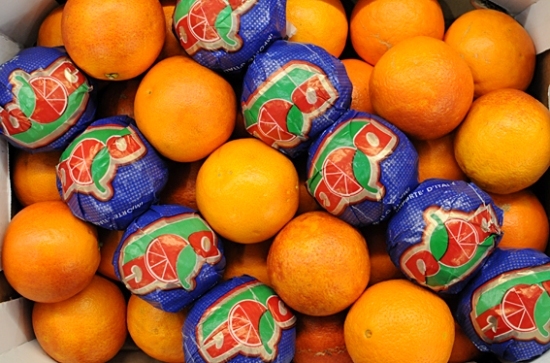 For fruit, you'll still find blood oranges at traders such as H G Walker. English apples are all but over. Grapes are South African and eating well, with some supplies now from Chile and India. Melons are typically Brazil or Costa Rica. Lychees are fizzling out and stone fruit such as nectarines, peaches and apricots are best avoided.